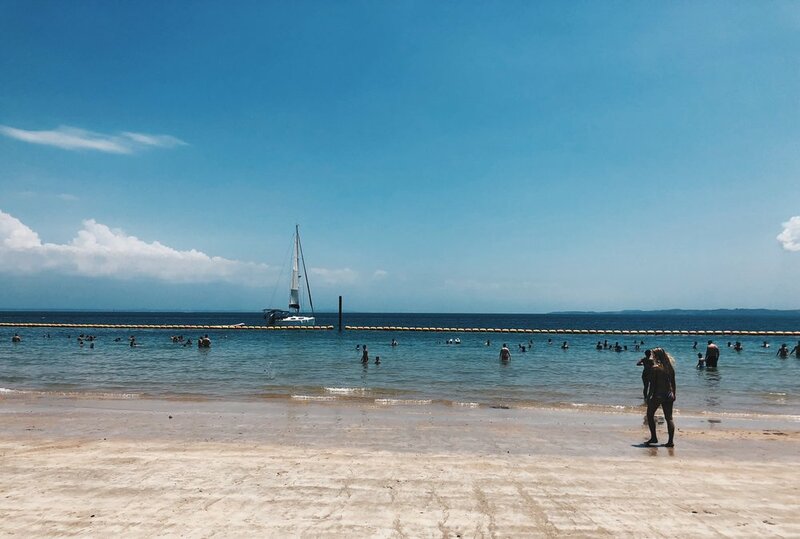 Salvador lays on Baia de Todos os Santos, or All Saints' Bay, which contains more than 50 city beaches and small, mesmerizing islands -- perfect for quick beach getaways. Beaches are a huge part of Brazilian culture. 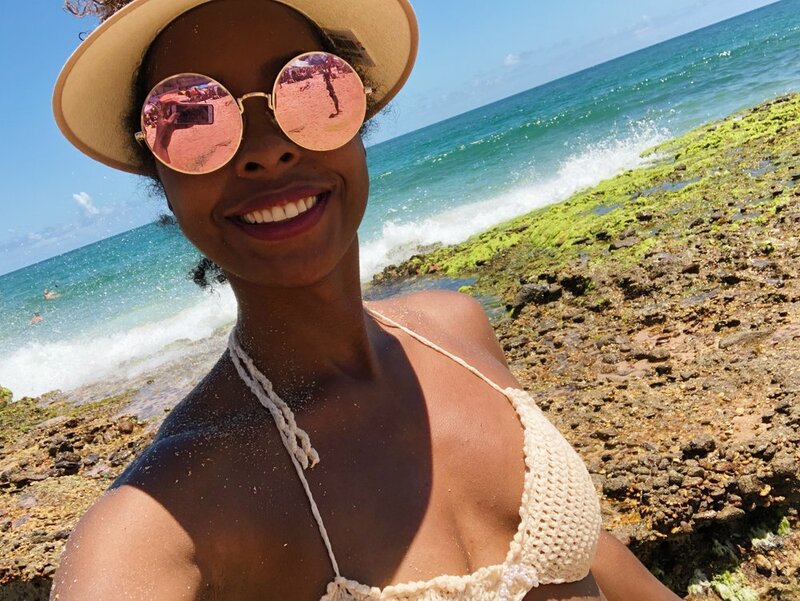 While in Rio, my friend Phenesse and I had grand plans of soaking up the sun and spending a lot of time on the beach while sipping caipirinhas. However, the rainy and cloudy weather disrupted those dreams. We traveled in December/January, which is the summer/rainy season in Rio. Needless to say, when we arrived in Salvador, we were on a mission to have our dream beach experience! Along this journey, we came across a lot of stumbling blocks. View of All Saint's Bay from house in the Ondina neighborhood. There are a plethora of local city beaches to visit. 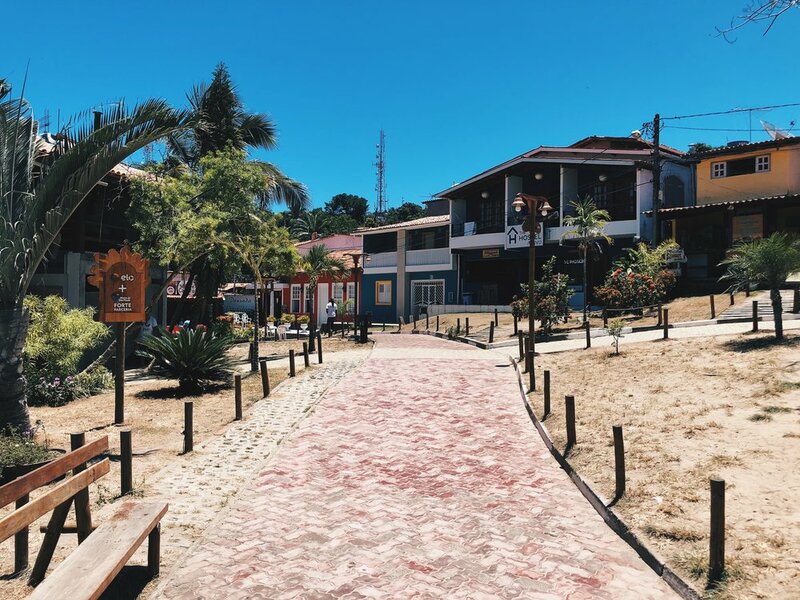 Per the suggestion of Phenesse's homestay brother, we decided to go to Praia do Buracão, which was 10 minutes from where we were staying. The beach was lively, filled with locals playing soccer, listening to music, drinking, and tanning. There were stunning rock formations along the strip that divided the water into pools of varying wave intensity. We went to the end where people were jumping waves. It looked fun, and I've never done that before, so I decided to try it. The locals made it look so effortless. I, on the other hand, struggled and was knocked down by the waves a few times. While this beach was beautiful, it wasn't the best place to go to swim and sit in the water. Staircase featuring Yemanjá/ Iemanjá, Brazilian Goddess of the Sea. Yemanjá is an orixa with Yoruba roots. Praia da Barra, is one of the most popular beaches in Salvador. The beach is located within the bay and has water much calmer than oceanside beaches, which makes it great for swimming. Since this is the popping beach to go to, we decided to go there on January 1st, the day we arrived in Salvador. A lot of NYE celebrations happen at the beach, so it was incredibly filthy. We switched our plans to taking a stroll on the boardwalk and grabbing dinner instead. Porto da Barra on New Year day! 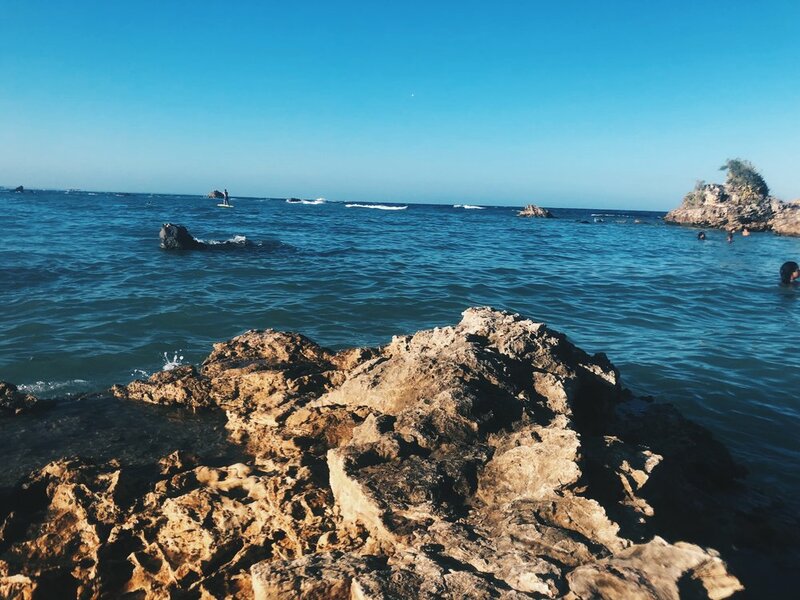 Given our limited time in Salvador (6 days) and our quest to have a dope beach experience, we thought a tour would be great way to maximize our time. 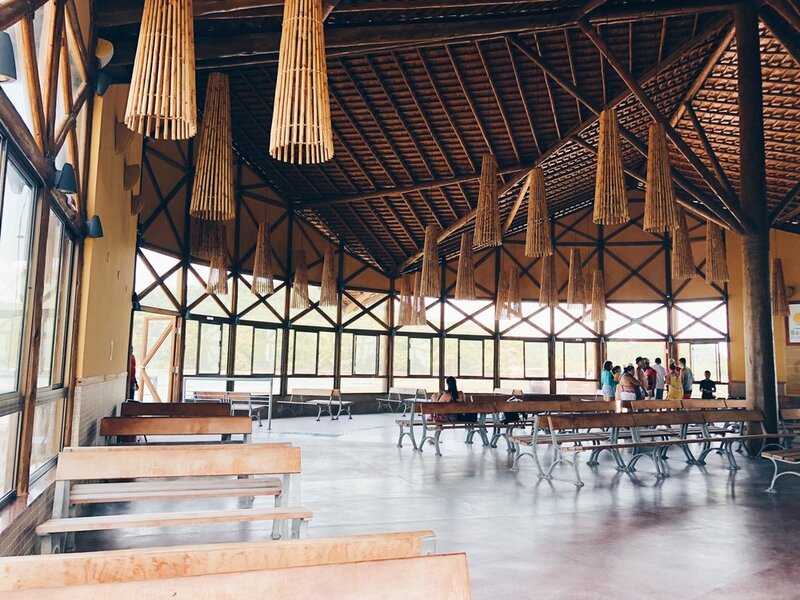 We decided to book a day trip to two of the most popular islands, Friars and Itaparica. In theory, it sounded like a good idea. But the reality was we spent close to 5 hours on a crowded boat traveling, and only 1.5-2 hours on each island. The whole experience felt rushed. The actual boat experience was fun, there was live samba music and dancing, and we were provided with a few pieces of fruit. Although the tour was not expensive, R$ 90 (27 USD), I felt it was a waste of my time, which is equally as valuable. Instead of purchasing a boat tour that doesn't allow you to properly explore the island or enjoy the beach, purchase a ferry ticket to go directly to Island of Friars and/or Itaparica and explore on your own terms. Terminal Marítimo de Mercado Modelo or Terminal Marítimo Turistico is Salvador's main boat terminal. It is directly opposite the Mercado Modelo and a five minutes' walk from the historic center. During peak season, the Maritime terminal is a bit chaotic. Be alert and listen for when the staff announces your boat. Sometimes it's inaudible, so just ask for help. Buy your ferry tickets in advance (especially during peak season). If you are sensitive to motion, make sure you take motion sickness pills. This will be especially helpful for the ride back to Salvador, as you are going against the waves, making the ride bumpier. Bring your own snacks and water so you can avoid the being overcharged for these things on the boat and island. 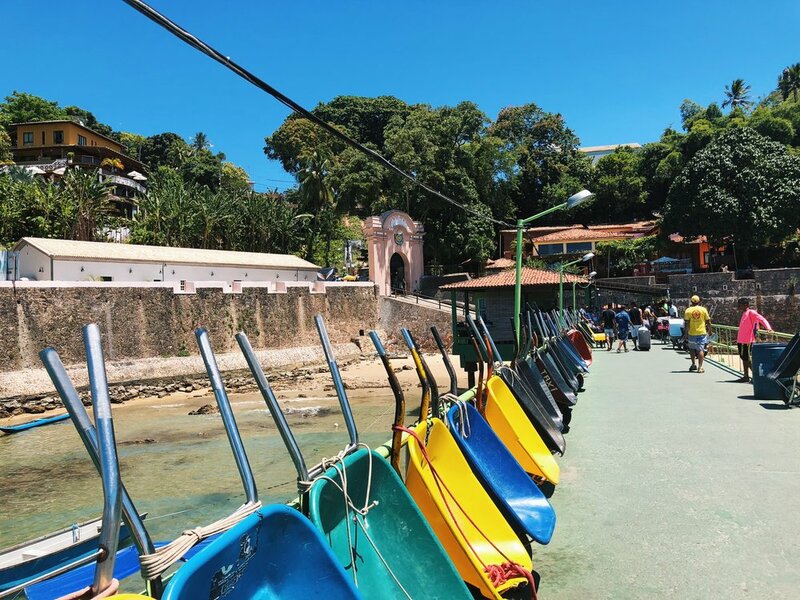 After our failed attempt of a beach getaway, we decided to travel two hours on boat to the South of Salvador and spend a night on the world famous island of Morro de São Paulo. Luckily, Morro de São Paulo did not disappoint. It had just the kind of lively beach town vibe we were looking for. There were lovely beaches, amazing seafood restaurants, live music, and quirky boutique shops. The island is made up of 4 beaches, named by their number. We were advised by locals to visit Quarta Praia (“Fourth Beach”) as it was the most impressive one. The Fourth beach had shimmering clear waters with fish swimming around and flawless white sand. Since we made the decision to go to Morro abruptly, we didn't book our accommodations beforehand. Brazilian pousadas, akin to bed and breakfasts, are the main housing options. 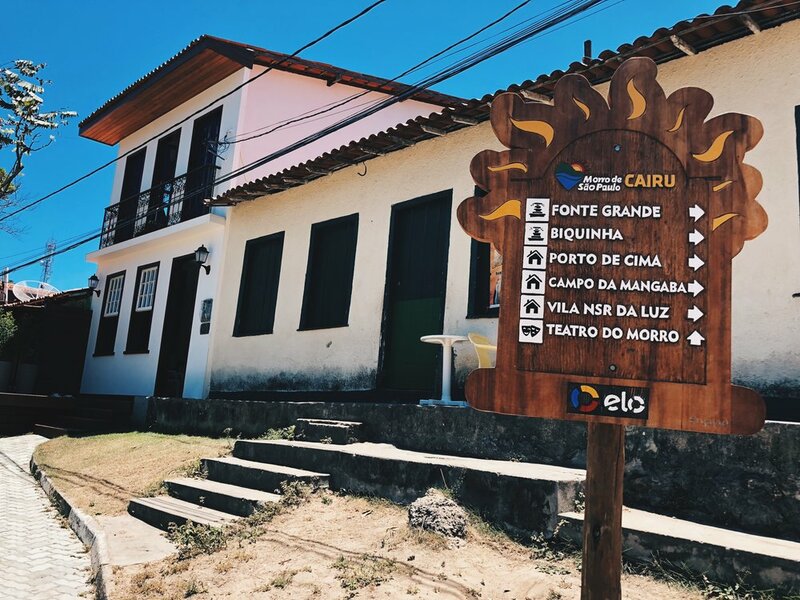 When we arrived to Morro, we stopped by a restaurant for some fresh juice and WiFi, and booked our pousada Ninho Da Águia. It was a simple accommodation, but the delicious fresh breakfast and the friendly owners definitely made the stay worthwhile. Many areas of the beach water are rocky. Protect your feet and bring your water shoes. If you are traveling during peak season, book your return boat ticket asap. They sell out quickly. While we didn't have time to do this, if I could time travel, I would have skipped the visit to Friars and Itarapica and spent an extra day in Morro. That would have allowed us to take a quick trip exploring some of the beautiful neighboring islands. The sunset that welcomed us as we arrived in Salvador. Whether you want a city beach or a tropical getaway Salvador has you covered! 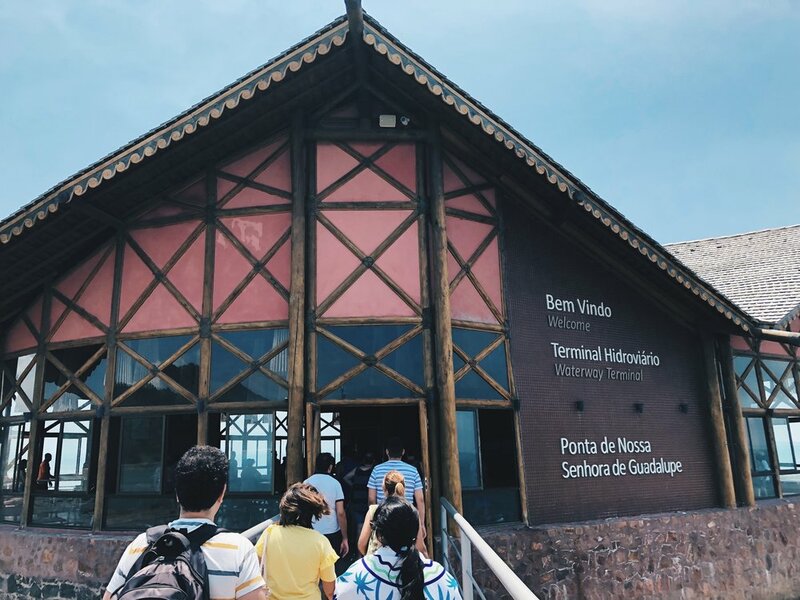 Hopefully my lessons learned will make your beach trip to Salvador more seamless!